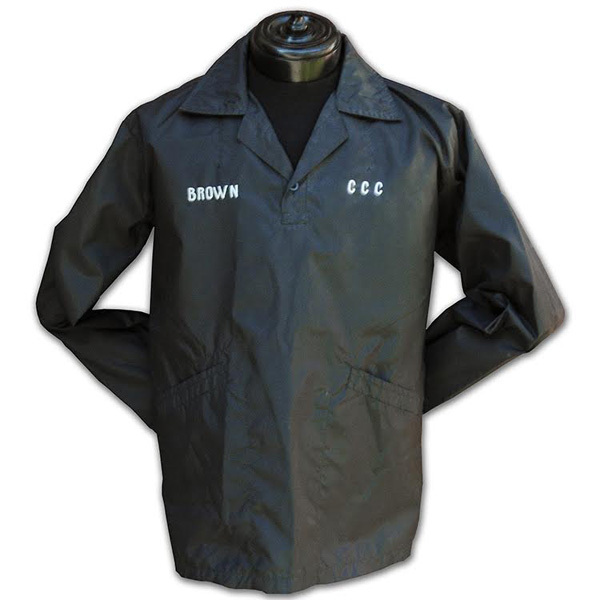 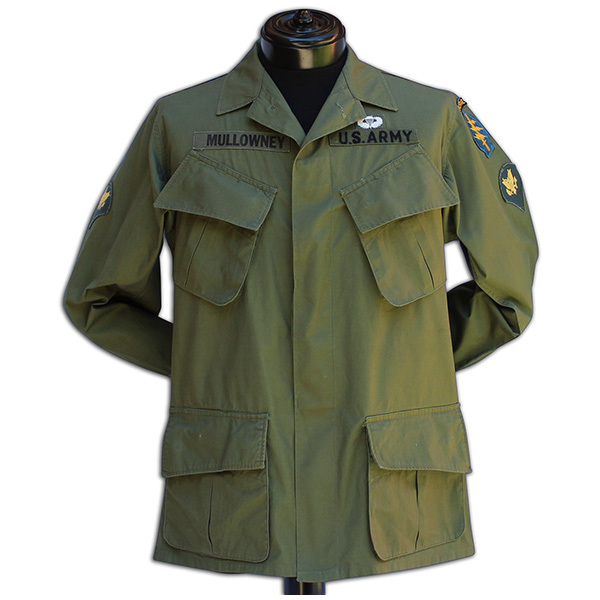 Richard Mullowney's US issued 3rd model uniform top. 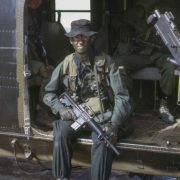 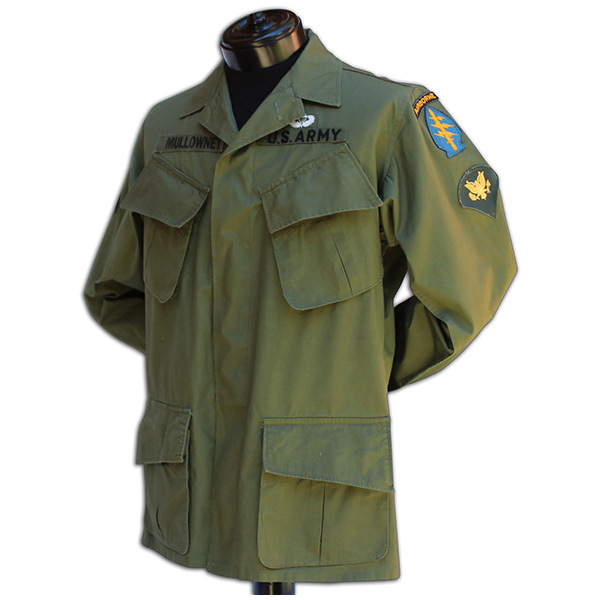 The garment is badged on the left chest with a Vietnamese hand embroidered US ARMY tape that is surmounted with US Basic Airborne Wings, the right chest has a printed name tape that reads: MULLOWNEY, the left sleeve has a cut edge Special Forces Shoulder Sleeve Insignia (SSI) and Specialist rank insignia. 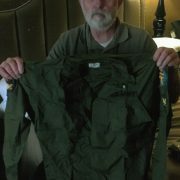 The top is labeled SMALL REGULAR, Chest From 33 to 37 inches, Height 67 to 71 inches and is pre DSA dated. 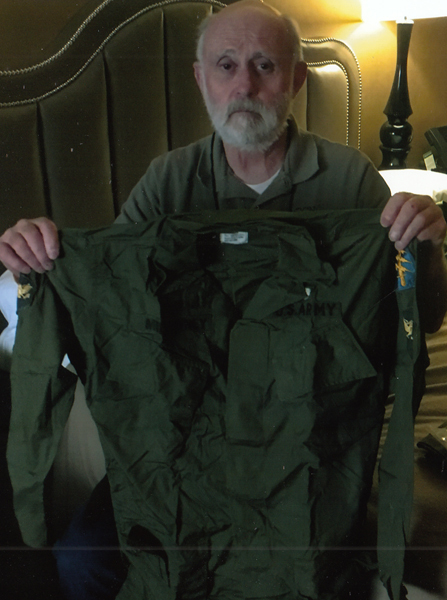 The piece will come with a reprinted picture of the veteran during his tour, a picture of the veteran when I purchased the top and a Letter of Authenticity from specialforceshistory.com as artifact number APU-147. 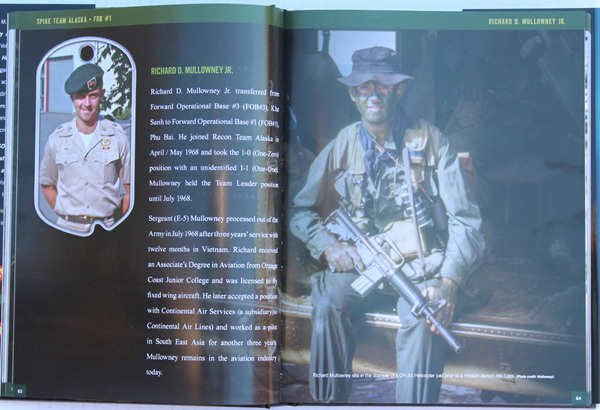 In 1967 – 1968, Richard D. Mullowney Jr served with Military Assistance Command Vietnam Studies and Observations Group (MAC V SOG), Forward Operational Base #3 (FOB#3), Khe Sanh and later FOB#1, Phu Bia where he joined Recon Team Alaska. 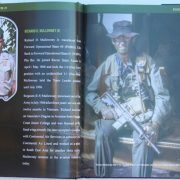 The veterna's bio is featured in the book MAC V SOG: Team History of a Clandestine Army, Volume X.